Yes! 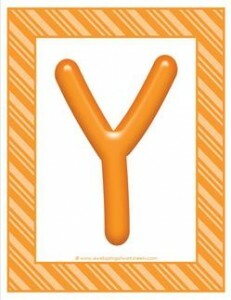 A colorful letters uppercase Y! It’s made of a bright candy-like orange with a matching brightly striped orange frame.